Straight away there's this aura of opulence – that soft synth glow – gold fittings and fixtures and chandeliers and mahogany or maybe teak furniture presenting angularity and sweeping curves in delicious alternation. 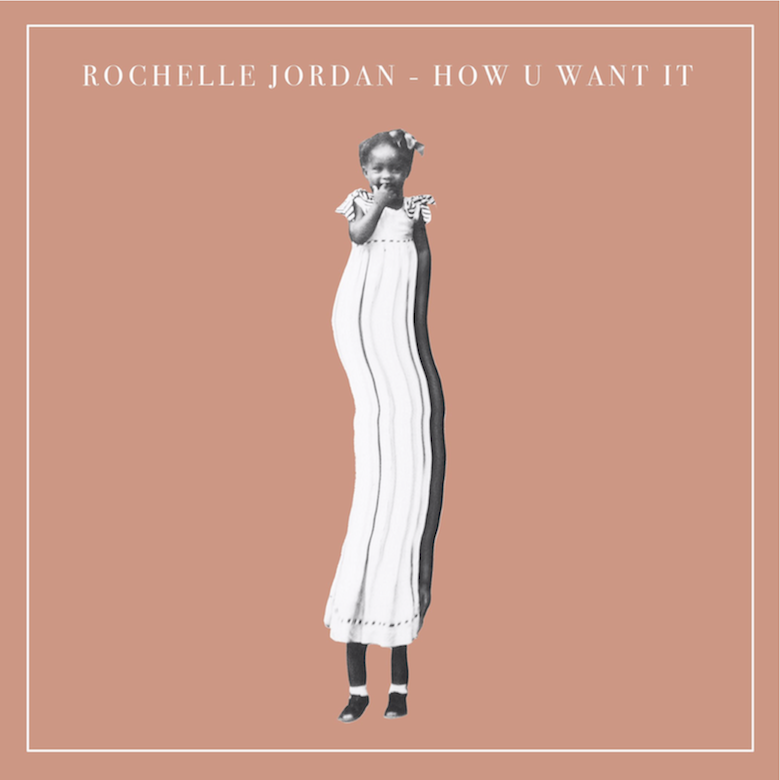 Rich, that's it—there is a high degree of richness embedded at the heart of Rochelle Jordan's 'How U Want It'. Her voice is of course a fabulous part of the track, its shining jewel, its billowing silk streaming through the well oiled machinery of the instrumental, at some points long and silken, and other times her vocals are tongue twisters, rapid-fire trilling lines that end in swooping lilts, itself full-bodied and robust but bringing it all together, lacing it with delicacy. The all-encompassing solidity of 'How U Want It' comes from its producer Machinedrum, who creates a playground of synth and beats that stutter and somersault in tracts of audaciously empty instrumental hits, priceless vase ornamental rose footwork, clinking and glittering high-pitch and wonky but bumping and thumping with juddering rubbery quakes too. It is this with its sense of playful urgency that Rochelle Jordan's vocal pairs perfectly, similarly agile and acrobatic, making this track a marrying of two virtuoso elements that soar and sizzle. A subversion of classy with its spilling-over decorative feel, this track is feeling out-of-place at a high-society event and knocking over champagne and having fun in the face of imposition. 🔔 This track is the first release on Machinedrum's newly birthed label IAMSIAM. You can steam it and purchase it variously from most of your favourite services via this hyperlink.